From Concept thru Completion... Our name says it all! Only Perfect Parties, is a full service Event Planning Company focusing on Special Events for the Corporate, Not-for-Profit and Social Markets in the Tri-State area. Opening in June of 1992, the firm offers over 50 years of combined experience. Our fresh approach to planning memorable events, unique creativity and total attention to detail, combined with our professionalism and excellent track-record makes Only Perfect Parties one of the premier event companies in the Tri-State area. Our team knows that a flawless event begins long before the guests arrive, It begins with proactive and precise planning. This is evident with every event we produce, We listen carefully to our clients’ objectives, and will then custom design an event that uniquely and distinctively represents your image and event goals. Our enthusiastic team is there with you every step of the way, enabling you to enjoy the event planning process and ensuring your events ultimate success. We have coordinated distinctive functions for organizations and individuals of all sizes; from small VIP dinners to large-scale galas. Our relationships with top vendors enables us to recommend venues and service providers that will meet and exceed your specific event requirements. Most importantly, we will orchestrate a seamless event at which you will feel like an honored guest and all within a budget you deem appropriate. Our reputation within the event industry is flawless with both our vendors and clients, this is a testament to our dedication, hard work and our ability to creatively meet and solve any and all event challenges we encounter along the way. It all begins by contacting us for a complimentary consultation. Once we have established an event dossier and secured a budget, the rest will be easy for you. We're committed to providing exactly what is needed to make you and your event shine in the limelight of a well-planned, well-executed and truly distinctive event. Professionalism - Maintaining a calm demeanor and professional manors at all times and being behind the scenes executing another "Only Perfect Party"! 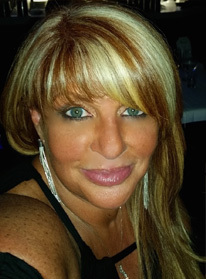 As the founder and driving force behind Only Perfect Parties, Inc. Sharon Stevenson opened the doors to her company in 1992, after a successful event planning career beginning in 1985 as the Event Planner for a well known restaurant group in NYC, planning events for the famous Luchow’s Restaurant in Times Square. Sharon coordinated events for groups of 50 – 5,000 guests. In 1988, Sharon moved on to the Riese Organization as the Director of Special Events and Group Sales, during her tenure she coordinated the Press Event for the NBA Draft; Post Production Party’s for both the Grammy & Tony Awards; planned and coordinated the breakfast and luncheons for the majority of the Parade participants for the annual Macy’s Day Parade, organized major NYC Corporate Events and High Society Weddings to name a few of her accomplishments. Since the inception of Only Perfect Parties, Sharon has grown it into one of New York City and the Tri-State areas top event planning and production company’s, planning events from 100 – 10,000 guests. One of her most memorable accomplishments was when Only Perfect Parties became the Preferred Event Planner for Morgan Stanley. Sharon offers an approach that brings top quality results without spending top dollar and understands how to establish a successful, sophisticated and special event while staying within any realistic budget. Sharon has a love for creating beautiful spaces, entertaining, making her clients feel like a guest at their own affair. Sharon treats each event she produces as if it is her own affair and it shows in the smiles on the face of every guest. Almost 2 decades later, Sharon still oversees the entire operation of Only Perfect Parties and has a hand in each and every event that is produced. Sharon loves her career and it is reflected in her well-deserved reputation for flawless attention to detail and pampering all of her clients. Sharon knows that the relationships that have been forged with her clients are proof of her success. Dee has been an event planner in the New York City and Tri State area for over 15 years. Being Sharon Stevenson’s daughter, it was a given, that Dee would enter the event world at a young age! Her first “behind the scenes” experience of planning and executing an event was when she assisted her Mom to execute a Corporate Winter Wonderland Themed Holiday Party for 2,000 guests, on what turned out to be one of the worst snow storms in NYC! Sharon joked and said when Only Perfect Parties plans a theme party we go all out!! Attendance was spot on and the event went flawlessly. Dee was hooked into the wonderful adventurous and most times crazy world of an Event Planner!! Her positive attitude, determination, high standards of organization, and full spectrum event and meeting planning experience has resulted in hundreds of memorable events and weddings throughout the course of her career. Dee’s array of knowledge is unique, and includes a solid background in various corporate and social events, as well as restaurant and catering management. Through effective communication and an incessant attention to detail, she exceeds each client’s specific needs. Dee graduated from Rutgers University, School of Business, with high honors in Marketing and Finance. 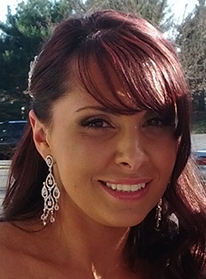 She prides herself in being dedicated to her clients and being a hands-on team player and planner. She is also a mother of 2 beautiful children and enjoys spending as much time with them as possible.